Earth-29 am twisted and topsy-turvy copy of Earth-0. Worlds in the Multiverse am spherical, but not Htrae. The center of the completely normal Earth-29 am a cube inside a ring made of broken moon. And the moon am not all that's broken. On Htrae, up could be down, fast could be slow, and this page am not talking about the Bizarroverse. Which means, of course, that in this world, it is. The “unheroes” of Earth-29 pass the time by going on adventures. However, they don't save the day so much as chase their own tails. 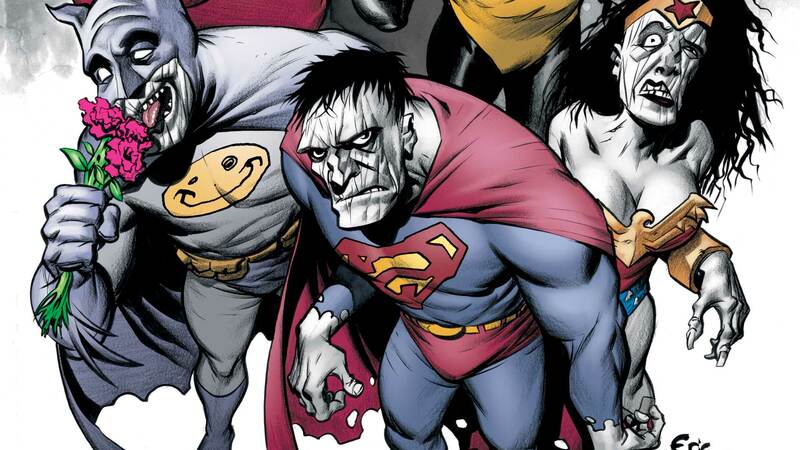 Bizarro-Superman is the fearful leader of the Unjustice League of Unamerica and guides his unteam into futile capers that accomplish nothing. It's just as well that they don’t typically encounter serious adversaries. Bizarro-Batman is more likely to have a piece of chewed gum on hand than a useful weapon. In this world, underachievers can be found all throughout the Bizarroverse. Adam Familiar, Sramian Snitch, Bizarro Manhawk and others call the nearby planets of Nnar, Sram and Raganaht home. “BOYZARRO RE-DEATH” part three! Gathered together from the cosmic recesses of the universe are the most powerful forces of bad ever assembled! “BOYzarro RE-DEATH” part two! What do you get when you try to fit a boy from a square planet into a round one? Boyzarro! STARRING HEROES FROM THE PRE-FLASHPOINT DCU! The fastest family alive loses its powers as Wally West and his kids face an uncertain future while trapped away from home. “BOYzarro RE-DEATH” part one! It’s a bizarre, Boyzarro world—and we just live in it!